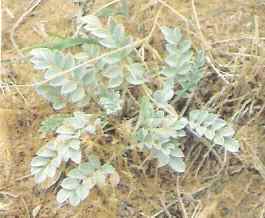 Vetch in bloom is easier to spot. Watch for it toward end of April. This weed is called "vetch," and has been attributed to the death of several horses here on Glade Park. These pictures came from a flier that was available at the Glade Park Store. Information on this weed was not readily available from C.U. Extension service. I have put in an inquiry about it, will let you know when I learn more about it. I would like to know what is the best way to eradicate it. It has a long, spindly carrot-like root, which breaks off easily when you pull it. If it does break off your effort is wasted, unless you dig it out completely. From my understanding, horses are not initially attracted to it. However, if the area is overgrazed they will end up trying it, and aquiring a taste for it. It has a cumulative effect, finally reaching a toxic level. I do not know what the symptoms are. Based on this it seems helpful to keep horses confined to a smaller area that is cleared, and feed hay when appropriate feed is gone. That is also better for the pasture. If any of you have information about this weed, such as the best way to eradicate it, please let us know. I will update as I get more info. I do not remember it being around back when I was growing up in the Coates Creek area. Here is a link to the Mesa County website. 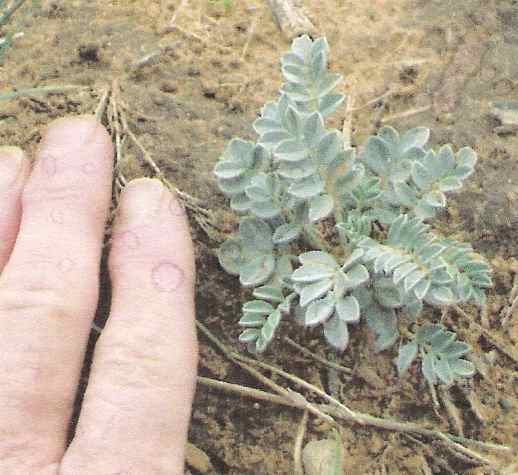 When you arrive at the page you have to scroll down a ways, and you will find a list of noxious weeds. Each weed is a link to a picture and more information about it. This is equivalent to the most wanted list in law enforcement, except that they are unwanted.